Did you know that Judaism is rooted in agriculture? Many Jewish holidays have agricultural roots: Passover at planting, Sukkot at harvest, Tu b’shvat marks bud break in spring, and so on. Plants and trees, fruits and nuts are woven throughout the Torah, both literally and figuratively. Many Jewish traditions incorporate planting and respect for nature, particularly for fruit trees. Pomegranate, fig, grape, olive are just some of the “fruits” that translate directly from ancient agriculture to modern gardening practices, many of which I cover in my presentations about how to grow these same fruits and vegetables in Jewish gardens. I love to end talks with something people can take home to inspire their gardening spirits. At the end of this talk, everyone goes home with a Za’atar plant. 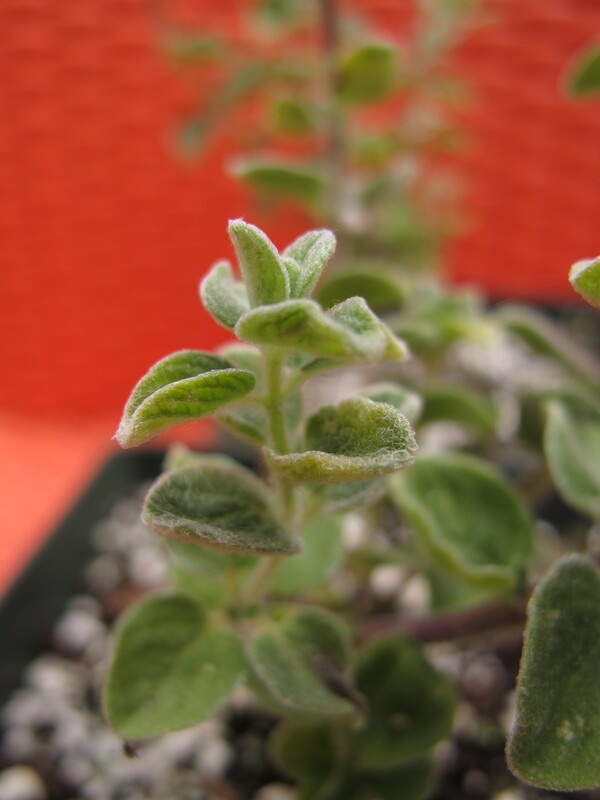 This special variety of oregano (some people refer to it as a marjoram) is used in the all-purpose Middle Eastern spice mix of the same name. Za’atar mixture is traditionally sprinkled onto olive oil-slathered pita, roasted chicken, fresh vegetables, hummus, and many other foods. Za’atar mixes sold at specialty markets are made from dried herbs, but it is far more flavorful if you make it with fresh herbs. Fresh or dried, Za’atar is simple to make. Grind the sesame seeds in a food processor or with mortar and pestle. Then, combine it with the rest of the herbs. Dried Za’atar keeps in an airtight container for several months. Za’atar made with fresh herbs is alot more potent so you’ll want to fine tune the proportions to your taste buds. Store the fresh made mixture in the refrigerator. It keeps for a week or two, after which, it is time to make more!